Centrica plc today announced a new trial to explore how blockchain technology could revolutionize the way consumers buy and sell energy. Delivered in partnership with LO3 Energy (LO3), the project will see the roll out of the technology in Centrica’s £19m Local Energy Market (LEM) program in Cornwall in an effort to explore how new approaches could disrupt the traditional energy model. The LEM has been established by Centrica Business Solutions to test the role of distributed generation and storage in supporting local grid flexibility in the south west of England. The blockchain trial will take this a step further, testing a range of energy transactions including multi-party peer to peer trading across 200 business and residential participants. As previously reported, Centrica is also working with LO3 on a trial in North America to deliver the world’s first micro-hedging market for business customers. 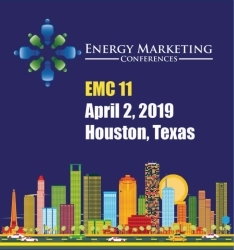 Run by the company’s North America Business unit, Direct Energy Business, the trial aims to cut costs and improve efficiency for commercial businesses in Texas through an innovative new business-to-business energy network. Unlike the traditional model where businesses manage their electricity procurement through fixed price contracts, or power purchase agreements, Direct Energy Business will offer large commercial and industrial companies the opportunity to place their own orders for customized power hedges that are then matched with the best offer in a competitive system. Last year, Centrica Innovations invested into LO3 Energy as part of a £100m program to identify, incubate and accelerate new technologies with the potential, "to transform the way we live, work and move."